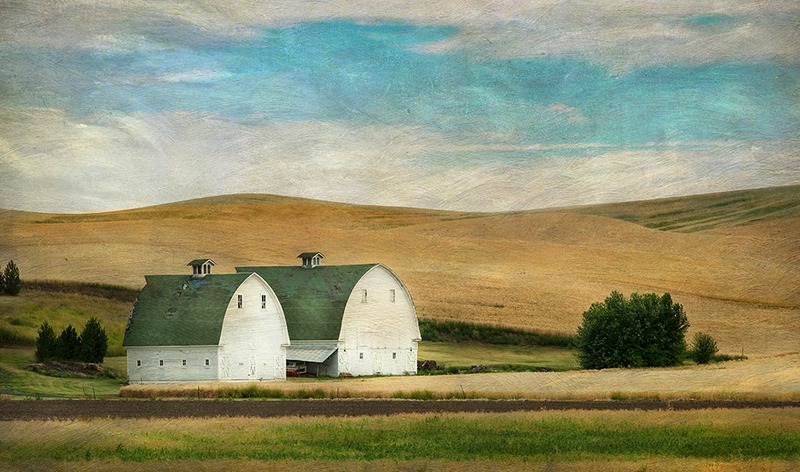 As I am wrapping up processing my images from the Palouse there were a few that I thought lent themselves to processing with Flypaper Texture overlays. I find in using texture overlays it is important to experiment in Photoshop with many layers, using blend modes, masking, levels and curves, saturation hue etc..while combining several different textures in one image. 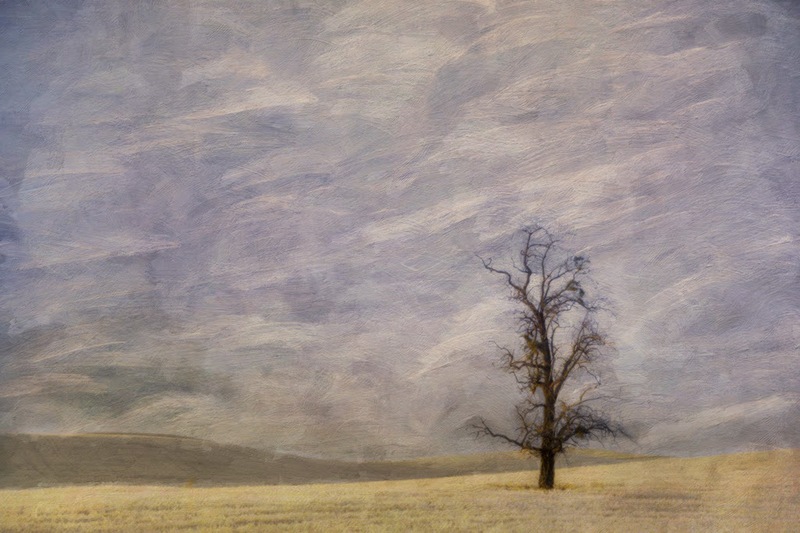 The folks at Flypaper have some great tutorials on their site which can provide ideas for processing images with their textures. If you want to try using textures and purchase from Flypaper; you can use the link provided on this blog sidebar for a discount on their textures. 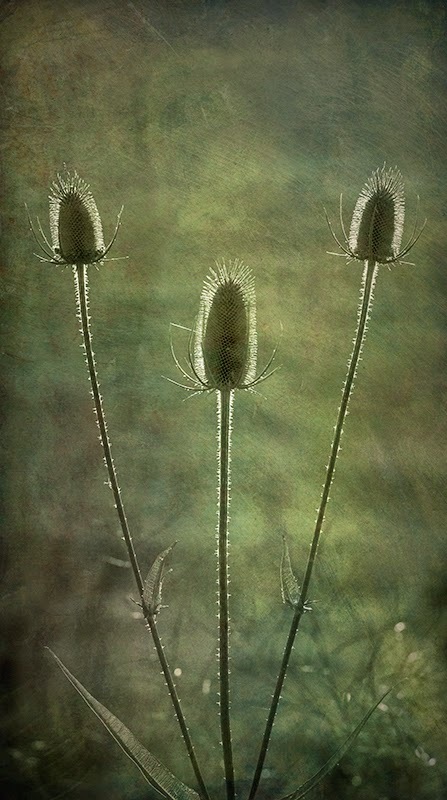 Lone trees with lots of sky are great for laying in a couple texture layers as are back-lit soft background teasel. I had a great group of photographers in the Palouse and look forward to doing some personal work in Spring of 2015 with a tour in Spring of 2016. If you would like to be added to the list for a Palouse Tour in Spring 2016 shoot me an e-mail at karenmessick@aol.com or join my mailing list for monthly updates.